Reedsburg Dentist Reedsburg WI | Dentistry services for the entire family! We are so glad you've decided to learn more about Hatch Dental. As you explore our website, you'll find that our team, our services, and our technology are all focused on one thing: giving each and every patient a healthy, beautiful smile they can be proud of. Dr. Hatch has spent his entire career gaining a diverse, extensive education and range of experience. This results in a unique ability to provide care for the whole person. We provide most of the oral care you'll need under one roof, but maintain close ties to area specialists so you know you can trust your care. We always have room for new patients, so please call (608) 524-4775 today to schedule your first visit. Dr. Thomas Hatch and his family. 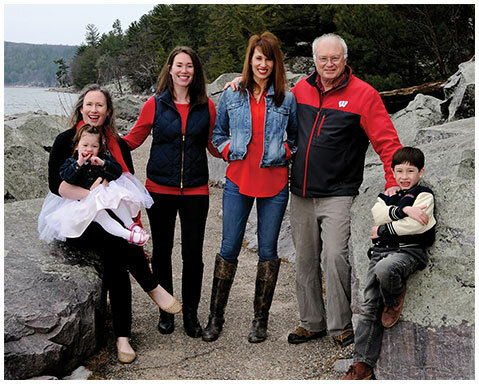 Dr. Thomas Hatch DDS and the team at Hatch Dental are pleased to provide professional and caring dental services to their patients from Reedsburg WI and the surrounding communities. Our dental services include: children's, cosmetic, family, implant, orthodontic, preventive, restorative and sedation dentistry. Our dental treatments include: routine oral hygiene care, teeth cleaning, dental exams, dental x-rays, dental veneers, teeth whitening, white dental fillings, dental crowns, dental implants, overdentures, custom dentures, orthodontics, traditional metal braces, ClearCorrect invisible aligners, gum disease treatment, dental sealants, sleep apnea dental treatment, root canal treatment, migraine headache treatment, dental extractions, athletic mouthguards, emergency dental care, professional teeth cleaning and full mouth rehabilitation.